Federal Pacific Electric (FPE) circuit breaker panels were one of the most common electrical panels installed in U.S. homes between 1950 and 1980. The most dangerous part of FPE panels is that they work fine for years, but after a single overcurrent or short circuit, they may melt and become hazardous. These panels may no longer offer proper overcurrent and short circuit protection for a home electrical system. FPE panel is a "latent" safety hazard because the panel itself is not hazardous. However when an unsafe condition (short circuit or overcurrent) occurs, an FPE Stab-Lok circuit breaker, which is supposed to interrupt electrical power, fails, creating an electrocution and fire hazard. 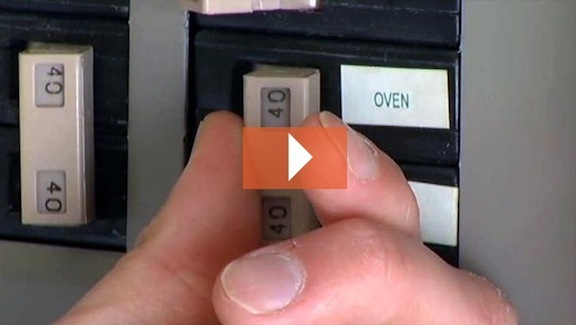 Below is a 4 min 50sec news story on the fire hazard that FPE circuit breaker panels may present to unsuspecting home owners. FPE is no longer in business but its panels remain installed in 10's of thousands of homes. WARNING: A visual inspection of FPE panels can't predict whether a circuit breaker is going to fail during the next overcurrent or short circuit. Such an inspection might discover evidence of a previously burned circuit breaker or panel bus connection. However, the absence of such evidence can not be considered as an assurance that your FPE panel is safe. According to multiple independent inspectors' suggestions, a FPE "Stab-Lok" electrical panel should be replaced. Having this panel "Tested" or "Inspected by an Electrician" is not enough to provide you peace of mind.